Christopher Lee Takhvar admitted to completely dismembering her body and disposing of Robin Lee Upson's torso in the Ocala National Forest. 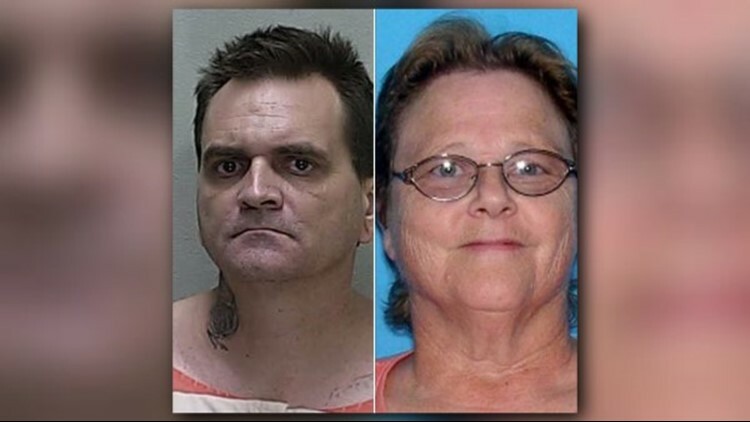 MARION COUNTY — Christopher Lee Takhvar, a 43-year-old Texas man, was arrested for the murder of Florida native, 63-year-old Robin Lee Upson. According to the Marion County (Florida) Sheriff's Office, an investigation started when Upson’s dismembered and decapitated remains were found in the Ocala National Forest in June 2018. Authorities later found out that that Takhvar, Robin’s business partner and friend of about 20 years, had murdered her, and dismembered and disposed of her body. On June 11, 2018, MCSO deputies were called to an area near the intersection of NE 115th Avenue and East Highway 40 in the Ocala National Forest in reference to human remains being found there by a hiker. When they got to the scene, deputies discovered a woman’s torso, which was missing its head and appendages. A picture of a Robin bird tattoo found on the remains was posted to the Marion County Sheriff's Office Facebook page to help identify the victim, and soon after that post was published, she was positively identified as Robin Upson. Authorities contacted the victim’s family, who told them that Robin’s friend Christopher Takhvar had borrowed their van, but never gave it back. In the meantime, detectives searched Robin’s home and found that the murder and dismemberment had happened there. The family’s van was later found in Orlando, and detectives found evidence that Takhvar was the only one riding in the vehicle and had used the van to transport and dispose of Robin’s remains. Takhvar was arrested in Jefferson, Texas on August 15, 2018, on a theft warrant regarding the Upson family’s van. MCSO Detective Aaron Levy traveled to Texas to interview Takhvar, where he admitted to stealing the van and killing Robin, claiming it was done in self-defense. He also admitted to completely dismembering her body and disposing of Robin’s torso in the Ocala National Forest. Takhvar also told authorities that he buried the Upson’s head, arms and legs in her backyard. Detectives, MCSO forensic technicians and the Medical Examiner ended up finding the missing body parts buried there. After the evidence in the case was reviewed, Detective Levy refuted any and all claims made by Takhvar that this was a case of self-defense. Takhvar was taken from Texas to Marion County, Florida, where he is being charged with Second Degree Murder and Grand Theft of a Motor Vehicle. He is currently being held in the Marion County Jail without a bond.